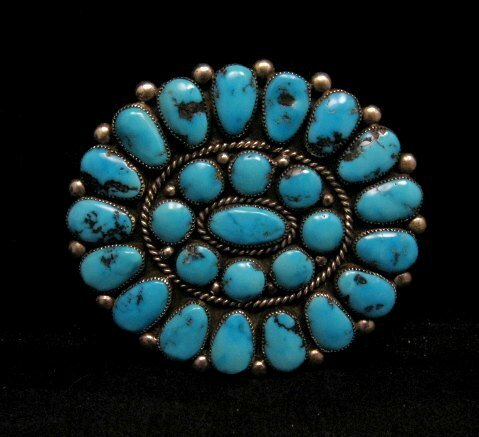 Up for your consideration is this wonderful Native American handmade Sterling Silver pin, featuring 26 large genuine Sleeping Beauty turquoise stones, created by Zuni legends Robert & Bernice Leekya. 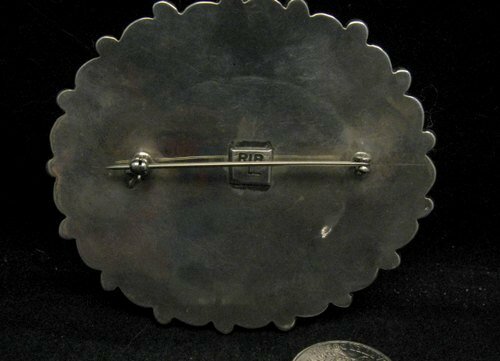 The pin measures 3 inches long by 2-7/8 inches wide and it weighs 2 ounces! Brand new and in perfect condition. 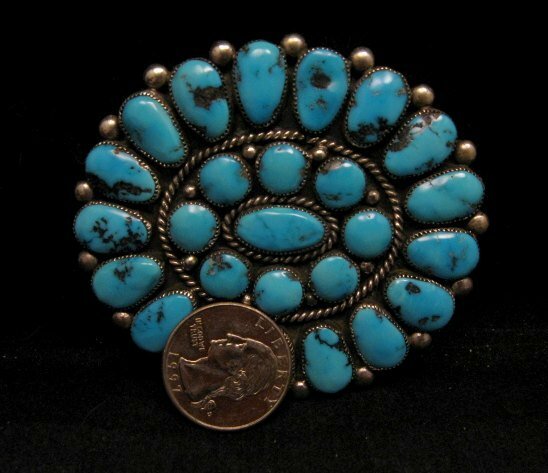 This pin was actually made by the Leekyas several years ago but was just made available for sale recently by the owner of a well respected trading post on the Zuni reservation. He had been holding the pin aside for his own collection. 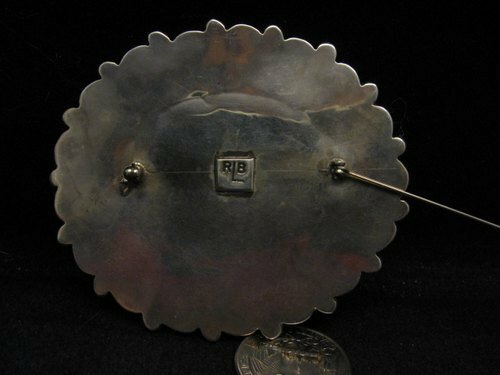 Hallmarked by the artists. Gift box & Certificate of Authenticity included with your purchase. The Leekya'a work is becoming increasing difficult to obtain since Robert's recent health problems. In addition, due to the closing of the Sleeping Beauty turquoise mine, the prices on any new jewelry that they make, reflects the increases in the price of Sleeping Beauty turquoise.